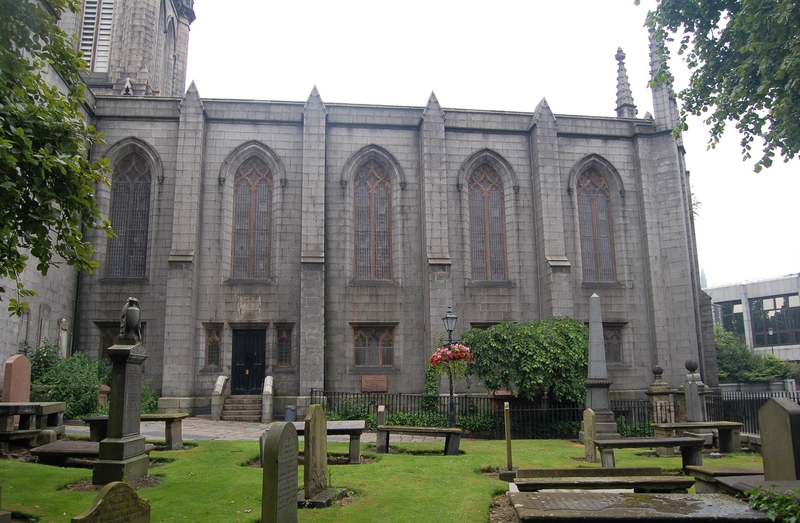 The Kirk of St Nicholas has been at the heart of Aberdeen, providing spiritual worship and refuge, since its ancient establishment. It is both a holy building and one that also chronicles the history of this rich city and her inhabitants. 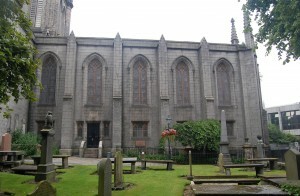 The Kirk of St Nicholas is arguably the most important and undervalued building in the royal burgh of Aberdeen. Whilst the present structure is mainly of 18th and 19th century date, it incorporates portions of earlier buildings going back to at least the 12th century church and stands on the site of the 15th century building, which was one of the largest and most prestigious burgh churches in Scotland. The outside of the former East Kirk building, pictured, dates from 1837. This is the result of a series of ‘expansions’ over the centuries, so that some of what was previously the graveyard is now within the building. Therefore, many human remains were expected and this was the case. It is important to record that all these will be re-interred before the new structure is started. The dig, in 2006, was extremely important because of its extent and the time span covered, indeed it is reported to be of international significance. The post excavation studies, including conservation, is vital work which is still to be completed. Financial support towards this would be welcomed. The photographs used in this section are copyright Aberdeen Art Gallery & Museums Collections and are used with permission.